In the eyes of gamers all around the world, DreamHack events always have a special place. They consider it to be a safe haven and their precious bragging right for years to come. Needless to say, DreamHack plays a huge role not just in the lives of many gamers worldwide… but in the eSports industry as well. We're already used to seeing premium tier tournaments on DreamHack and it's safe to say this year will not be any different. With all that in mind, DreamHack Marseille 2018 CS:GO tournament is just around the corner. In fact, the qualifiers have finished last month and now we know all participating teams. Just by looking at the team sheet, I'm sure you will all agree with me on this one – Dreamhack Masters Marseille 2018 is going to be an amazing tournament! So, without any further adue, here is all the information regarding DreamHack Masters Marseille 2018 betting odds and tournament overview! Hold on tightly – it's going to be a rough ride, that's for sure! Dont miss the next CS:GO tournament: ESL Pro League Season 7 Finals! The DreamHack Marseille tournament will be divided into 2 parts: group stage and playoffs. In the groupstage we will see the 16 teams separated into 4 groups, from which the two highest placed teams will advance into the playoffs. The group stage games will be played in bo1 format, if a decider match is needed will be played on bo3. Starting from the playoffs, all games will be bo3 on a single bracket elimination. 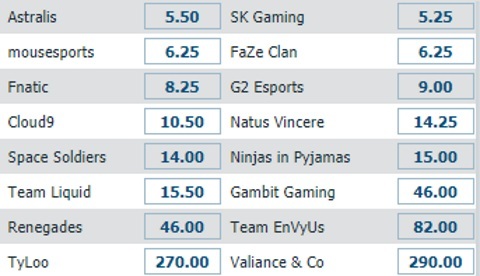 Below, you can see the schedule and the results of the DreamHack Marseille 2018. Since this website is based on eSports betting, it's only logical to give you further in-depth information regarding this tournament. 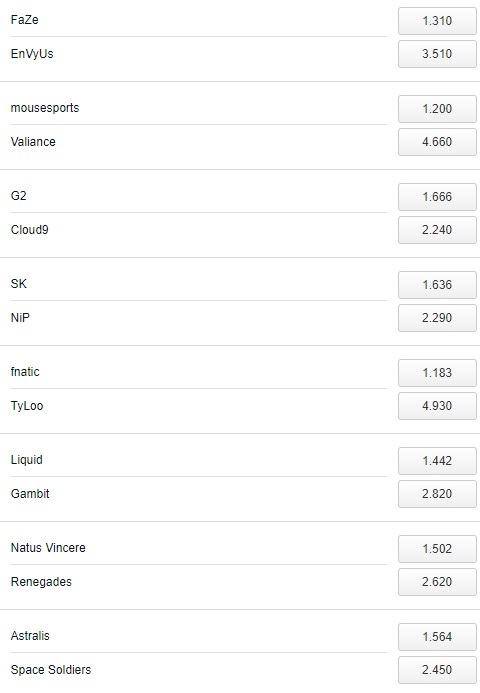 So, as far as DreamHack Masters Marseille 2018 betting odds and options are concerned, there's nothing to worry about. Considering the sheer prestige of this tournament and its well-known background sponsorships, it goes without question that the most popular eSports betting websites will have full coverage. In other words, you can rest assured betting options will be plentiful and betting odds will be more than fair. 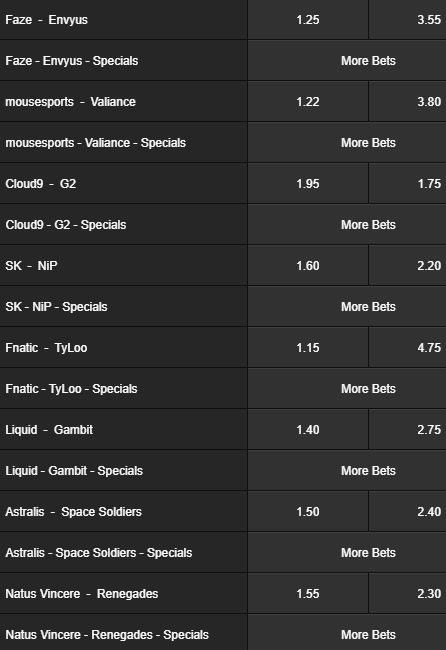 Now is the time to take a closer look at DreamHack Masters Marseille 2018 betting odds and make a quick comparison between the most popular bookies. 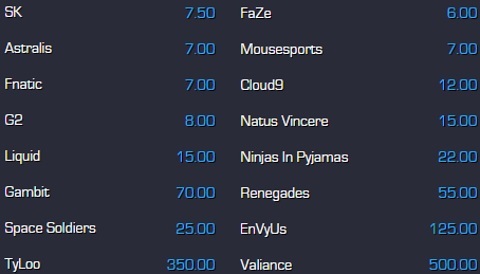 So, without much further adue – let's see which eSports betting website has the fairest odds as far as this tournament is concerned!